“Hey, it’s easy – Just get it done”. My friend is a Software Engineer and he used to have a boss who would say that to him all the time. When building software systems, particularly in a manufacturing environment, certain types of systems will take months and even years to complete. His boss (who had no software experience) would ask him to build a system that would normally take months and tell him to do it in weeks (sometimes even days) and when he would push back, his bosses response would be, “Hey, it’s easy – Just get it done”. I am sure that you can imagine this did not sit well with a group of professional engineers who prided themselves on their profession. Eventually, he had enough and found another job. Now you are sitting there and your boss has just made their 100th ridiculous requests and you are thinking about looking for another job. Where do you start? What type of job would I like to obtain? Do I have any specific companies that I would like to work for? Am I willing to relocate? Travel? Once you have written a resume that targets your ideal job, you will want to begin building a network. In today’s job search, many employers use social networking as a key information source. In addition to writing a resume, please be certain to update any on-line profiles such as Facebook, LinkedIn etc. In addition to updating these profiles with relevant information tied to your target job, please also remember to “clean up” your profile so that it best reflects your background. HR managers will tell you that they check on-line profiles like Facebook for candidates. You can imagine the impression left by a Facebook picture where the potential candidate is drunk or doing something inappropriate. It is not fair but it is a fact in today’s job market. For the purposes of the job search, remove those pictures from your profile and ask your friends not to put those pictures on your profile until you find your dream job. I want to note: You have every right to live your life. With that said, job searches require a particular impression – remember this when putting content on the Internet for any potential viewer. Always ensure your resume, online profile etc… has the most up to date contact information. Whenever possible, try to ensure that you have a land-line available for phone interviews and important job search discussions. Cell phones are not reliable and you will leave a bad impression if you drop the call during an important discussion. In addition, reach out to any potential references and alert them to your job search. You want to ensure that they are aware of any places that you are applying to and any potential calls that they may receive regarding your background. Once your resume is prepared, this is where you need to budget adequate time for a job search. Randomly sending out resumes is not an effective method for finding a job since (on average) less than 15% of jobs are posted. As a result, networking is a crucial piece of the process. Networking takes time. All networking meetings are essentially interviews so be prepared. This is the portion of the job search where you will focus the bulk of your efforts. As a result, please review the article Top 10 Killer Tips To Impress Employer at Job Interview and How to Answer Interview Questions to assist in your preparation for the interview process. As you speak with employers, it is important to know your salary and “perk” expectations. Do I want to travel? How many weeks’ vacation can I command? Do I want a base salary on commission role? Knowing this information in advance will assist with your ability to select the right company and job. See How to Negotiate a Job Offer for more details. Preparation is an important part of the job search process. 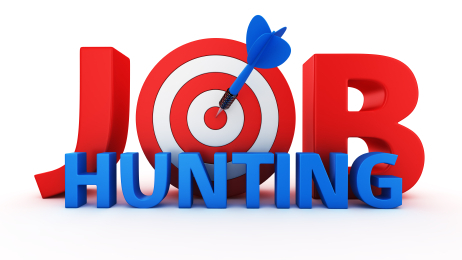 Follow these tips and you will be on your way to finding your dream job. ← Technology in the Workplace: How Can It Benefit You? How To Network for a Job Through Email – The Easy Way.